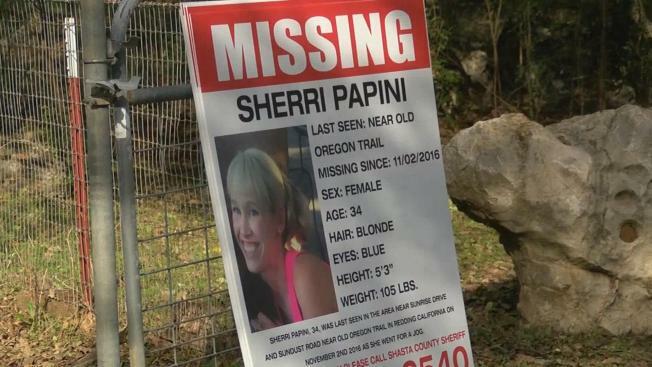 Sherri Papini had been missing for 22 days. Editor’s Note:The prior version of this report mistakenly identified Private Investigator Cody Salfen as a detective. Salfen never implied he was working with any government agency and NBC Bay Area should have identified him only as a Private Investigator. This post corrects his title. The gripping abduction case of a Redding mother who was found alive after missing for three weeks has captured national attention, and one investigator from Silicon Valley says it's an unusually happy turn for such cases. "I think when you do look at the cases where someone is missing for an extended period of time, especially 20 plus days, it becomes less and less likely that they're going to find the person alive," Los Gatos-based private investigator Cody Salfen told NBC News about the case of Sherri Papini. "And when I found out that she was alive, I was ecstatic." Salfen was hired by Papini’s family shortly after Papini disappeared Nov. 2 near her Redding home. She was found beaten and shackled along Interstate 5 near Sacramento on Thanksgiving Day. Shasta County Sheriff Tom Bosenko said at a news conference Wednesday that Papini showed signs of torture and starvation. "I will confirm the suspects did brand her," Bosenko said. "I will not get into details of where the brand is located on her body or what was branded, for the integrity of the investigation." Papini decribed the suspects as two armed Hispanic females, one younger than the other. No motive or details on where she was held have emerged. It's not clear why the kidnappers let her go. Papini's husband Keith Papini gave People magazine a statement, saying his wife’s nose was broken, her hair was chopped off and her body was covered in bruises from beatings. "She was thrown from a vehicle with a chain around her waist, attached to her wrists and a bag over her head," the statement said. "The same bag she used to flag someone down once she was able to free one of her hands." Salfen believes, with the evidence he's seen, it's a legitimate abduction. "Until there's more information that comes out that I'm not aware of or until there's some other evidence suggesting otherwise, I don’t think there's any reason to not believe that," he said.